Nvidia Shield Android TV Streaming Device Review. The newest 2017 model Nvidia Shield has made a number of significant improvements from their older model. The main ones being, they reduced the size of the controller and set-top box by about 40% and made available for the first time on Android TV Amazon Instant Video and with Google Assistant now available. Along with streaming the latest programming and playing online games, you can now voice command everything in your home with a few additional accessories. In this Nvidia Shield Android TV Streaming Devices Review we will take a look at the new improvements and see if you should upgrade to their latest model. What's New With The Nvidia Shield? The Nvidia Shield new model is 40% smaller than its predecessor. The hardware has remained the same and the Android TV software has been improved. 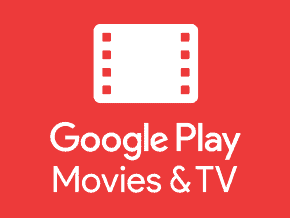 They now offer Google assistant and the addition of ﻿﻿﻿Amazon Instant Video for the first time on Android TV. The pricing has stayed the same at $200 for the basic 16GB model or $300 for the Shield Pro with 500GB. But now they are including an ﻿﻿﻿﻿additional remote Previously an additional $50) along with a gaming controller. The TV remote now included is very similar to the Amazon Fire TV remote simple sleek functions, similar to an oversized apple remote. 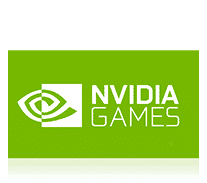 It also has voice control that can be used with Nvidias new feature Google Assistant. Google's version of Amazon Alexa designed to let you control smart devices in your home by simply talking to them. The new Game Controller is an improvement from the older model with a slimmer nice feel that is easier to hold. It is evolving into a more of a Xbox one controller. Some would have preferred a smoother finish then the new angular finish. But overall it has a nice feel. The control buttons are all much more responsive. Not quite as refined as the Xbox remote but getting close. If you have an older Shield, the new Game Controller can be purchased at a standalone price of $59.99 They have improved battery life and added vibration and a far-field mic for Google Assistant. The previous controller did not have infrared control so it could not control TV volume directly. 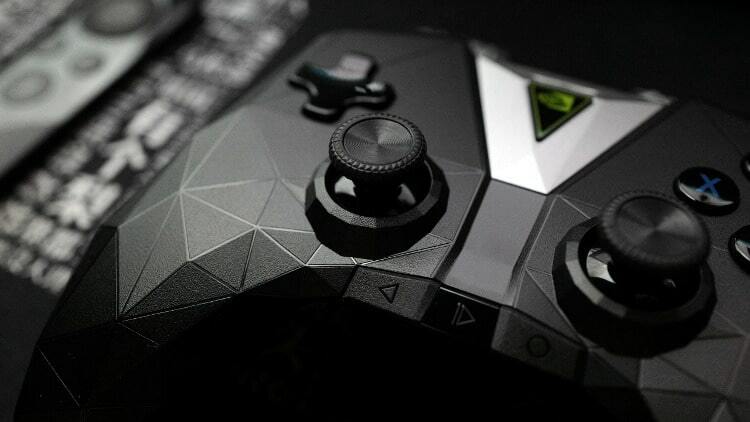 The newer Nvidia Shield gaming controller can now control many brands of TV. Also provided in the Nvidia Shield package is a coin cell battery for the controller that will last about a year. Nvidia also added an IR transmitter a really nice added feature, you can now change the volume on your TV using the gamepad and not have to find the remote. Most powerful android box on the market. Powered by Nvidia Tegra x1 chip. Hardware hasn’t changed but the Shield is still more powerful than any other streaming box on the market. On the Back of The Nvidia Shield, you have to 2 USB 3.0 ports, Ethernet jack and HDMI and power connection. The have removed the Micro SD Card slot but you can easily expand the Nvidia Shield 16 GB of storage with a USB stick. 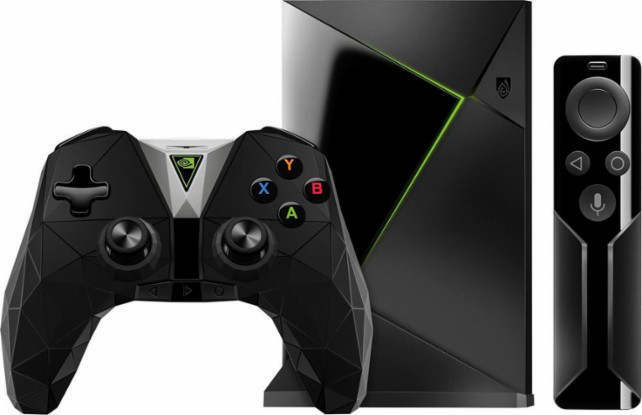 Nvidia Shield Android TV can become a whole home entertainment system and smart home controller. Now that Google Assistant is available you can now voice command everything in your home. The Nvidia Shield is a capable smart home controller. Through a partnership with Smartthings, the Shield Android TV can be transformed into a Smartthings Hub with the addition of a tiny dongle plugged into one of its USB ports. Once configured, you can then talk directly to your Shield Android TV to control any device that integrates with Smartthings. You can take it even a step further, and invest in some Nvidia Spot accessories, they extend the smarts of the Shield Android TV to any room within Wi-Fi range. With a few additional accessories, the Nvidia Shield Android TV can become a whole home entertainment system but also take advantage of smart home options. Learn more with What is Smart Home Automation and how does it work? Comes with a gaming controller. PLEX 6 Months free offer with Shield Purchase. They are consistently adding more apps every day. The Nvidia Shield with all its offerings is the most powerful android box on the market. Compared to the Apple TV, Roku and Amazon Fire TV. The Nvidia Shield 4k has great features that may appeal to the gamer. If Streaming TV and movies are more what you are after the native app selection doesn’t measure up to Roku, Amazon Fire TV, and Apple TV. If you like Kodi, the Nvidia Android Box is the best Kodi Box on the market a real cord cutting solution. If you have an older model Nvidia Shield I would just update to the newest software and purchase the much improved Gaming Remote and wait for hardware upgrades in the future before purchasing a new Android box. With the price of $200 the Shield is a better deal than before but is still very much a gamers Android Box. With the addition of Smart Things and Google Assistant. The Nvidia Shield 16GB has the power to expand to much more than just gaming and streaming TV. The Nvidia Shield Pro provides 500GB of storage and may be worth the extra $100 if you plan to store a lot of media. Purchase a NVIDIA SHIELD TV or SHIELD TV Pro and receive a free 6 month Plex Pass subscription. After you purchase your shield on Amazon within 2 days of your ordered shipment, you will receive a promotional code with redemption instructions via email. Offer only applies to products sold by Amazon.com. Current Plex Pass subscribers are not eligible. A great offer for anyone who has been thinking about buying Nvidia Shield or a Plex Pass. The Plex Pass will let you stream loads of content. Plex Pass can be used as a DVR with a wide range of USB Tuners for your Nvidia Shield, allowing you to stream all of your content and watch your over-the-air TV on one device.